Should you care about your Klout Score? What's your Score? 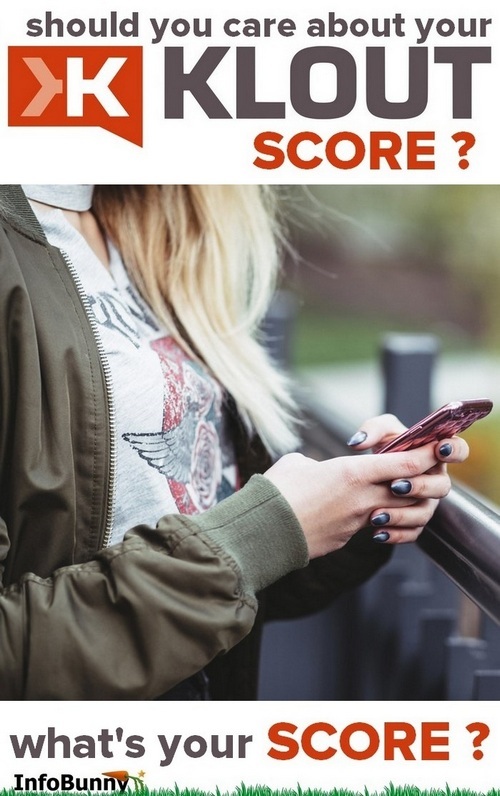 Home » Social Media » Should You Care About Your Klout Score? Recently, Lithium Technologies announced on its website that it would be shutting down its social scoring service, Klout, on May 25, 2018, which it had purchased for a reported $200 million back in 2014. Lithium Technologies’ reasoning for closing down this once-popular platform was that “Klout as a standalone service is not aligned” with its long-term strategy. 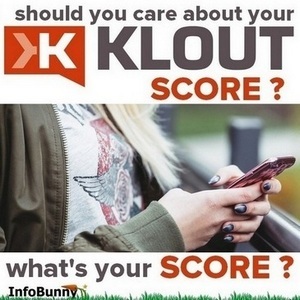 Does your Klout score matter, should you care about your Klout Score? This is an interesting question. My answer would be that you should probably care about your Klout Score as much as you care about your Alexa Rating. At the end of the day, both your Klout and Alexa Ranks are really not that important in the whole scheme of things. Because you don’t have to have a great Alexa Rank to have good SERPs or good TrustRank and you do you really need to measure your social media score? This being said I do love them both and work to get them as good as I can. They are both a great measure of how well you are doing providing you do it the right way. The average Klout score is around 40 out of 100 with only 5% of users having a score of 65 or above. On finding this out I wanted to find out what my Klout score was. I was intrigued and wanted to know, so I revisited my account that I had made many moons ago. Logging in I found my score was around 42. I was just average but then I had only attached my Facebook account. I was interested to see how I ranked when I added my other sites to my account, especially as I’m a much much bigger Twitter user than I am with Facebook, then I also had to add my Google Plus and my LinkedIn. My score jumped into the 70s, 75 to be precise as you can see in the screen capture below. The extension is basically a share button that allows you to share content via Klout just by clicking the button. But that is not all. It also has a very useful Twitter function that adds in the Klout score of any user who is tweeting who has a Klout account so you can see who is a real influencer on Twitter. Scores appear in the form of a small orange speech type box next to usernames. Klout scores on Twitter show you who is killing it on social media. These are the guys who are extremely active, who are creating great content and who you should be following and building relationships with. The screen capture below shows the page you see when you use the Klout share option with the chrome extension. 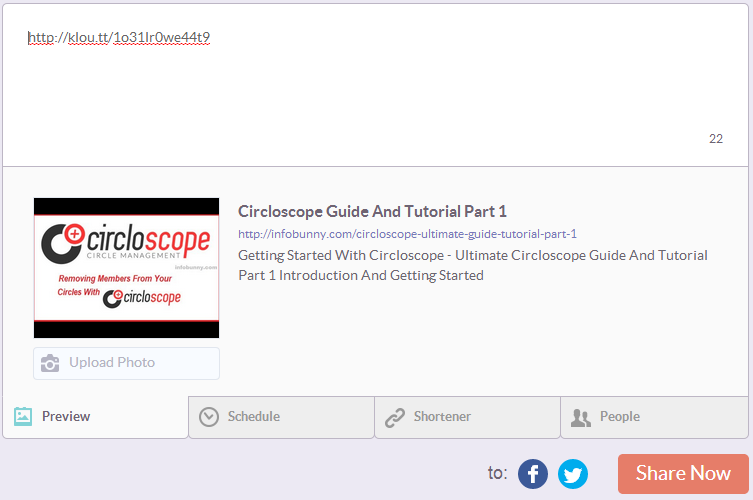 As you can see you can select to also share your content on both Twitter and Facebook when sharing to Klout, with the option of adding or changing the content description. You can even change the image that goes with the share if you want. Is Klout worth the effort? Well, there is not much effort involved. You add all your social media channels to Klout and that is about it. You can add a Klout Score Badge to your blog if you want then you just do what you normally do, sharing your content, and see how it affects your score. It is very handy when it comes to showing you who is who on Twitter. You can also discover some great content that is shared to Klout so for me it is worth the effort. Could this just be a distraction? Maybe, but it is a better distraction than scanning Facebook. And don’t we all need a distraction from time to time? If you have any questions then comment them below and I be happy to answer them. I would also like to know what your Klout Score is if you are a member. Does your Klout Score carry any Klout?